Photography Insurance in Minutes from $8.25/mo. Event Insurance for Vendors for 1 Day up to 365 Days, you choose the coverage period during the instant online quote. RVNA understands the unique needs of photographers. Pro Photographer’s Insurance by RVNA offers customizable insurance options to fit every photographer’s needs, whether a wedding, fashion, nature, landscape, or still photographer RVNA has the right policy for you. Up to $5 Million in Liability coverage now available. General Liability insurance protects a photographer’s business against lawsuits claiming bodily injury or property damage to third parties. Available as an option when you purchase General Liability, Errors & Omissions extends the General Liability coverage to protect against lawsuits arising out of copyright infringement, trademark, trade name, title, slogan, false advertising, idea misappropriation, invasion of privacy/publicity right, or defamation as a result of errors and omissions. Your camera and photography gear is your livelihood. How would you pay to repair or replace it if something happened? Camera Gear/Equipment coverage can help! This type of insurance provides coverage for your equipment in the event that it is lost, stolen, or damaged. What if an employee steals from you? Protect your photography business with Employee Crime coverage. Dishonest acts of employees are excluded from the Camera Gear/Equipment coverage, so Employee Crime was created to fill a coverage gap. This type of insurance provides coverage for employee dishonesty, forgery or alteration, and theft, disappearance and destruction of money and securities. Comprehensive UAV liability policies from $100,000 to $2 Million, at the most competitive prices in the industry. RVNA offers photo booth operator insurance including Liability and Equipment Coverage. Just ask. Call us at 1-800-364-2433 or visit Pro Photographer’s Insurance. Pro Photographers Insurance is also offered exclusively through R.V. 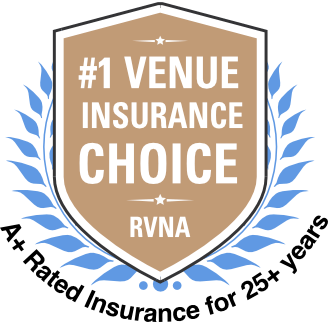 Nuccio & Associates, Inc. (RVNA) With over 50 years of industry experience, plus their A+ rated carrier partnerships, RVNA offers unsurpassed value to their clients. I currently own a green screen and photography company. I have been using R.V. Nuccio and Associates for years. They have made insurance for my company so easy. Unlimited additions of COI’s is a great perk for a company like mine that constantly needs to add new ones. Their online system is very user friendly too. Everything is paperless, which I really appreciate since policies are hundreds of pages long. They have really thought of it all. … I will continue to use R.V. Nuccio for my growing business. Thank you for having an incredible team and products!